Many web apps would benefit from document editing capabilities, but not many developers have enough time and resources to create that functionality from scratch. ONLYOFFICE editors are here to the rescue! You can integrate them with your app. In this post, we collected 5 examples of ONLYOFFICE editors integration – from simplest document management systems to world famous open source platforms. In this article, we are showing how to add document viewing and editing to a simple Node.js app and how to save files you have edited back to your server. It is easy! 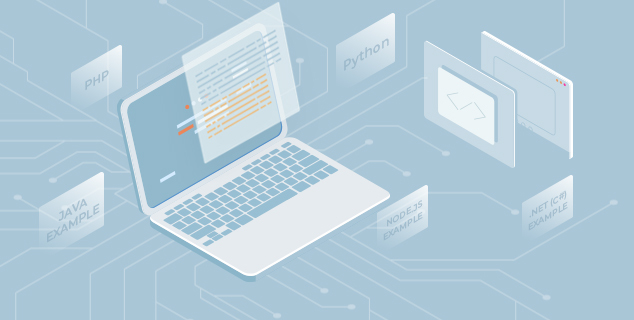 Python was the biggest gainer in the Tiobe index of language popularity in 2018, and it is also the most popular 1st language taught at universities. We could not bypass it! So, here is the article in which we are creating a simple doc management system using Python (to be more exact the Bottle framework). Apart from adding viewing/editing functionality, you will learn how to implement co-editing and manage users. Integration with Nextcloud which is written in PHP is one of the deepest ones we have, and our services definitely have a certain chemistry. In this article, we’ll explain how it is done. Adding and executing custom code. Anonymous access for downloading and saving files. Adding new buttons to UI (for example, “Edit in ONLYOFFICE”). Оpening a new page where we can execute our script to add an editor. Ability to specify settings: at least, the virtual address of the ONLYOFFICE Document Server. From our text, you will learn how all those things were implemented in the ONLYOFFICE integration app for Nextcloud. By the way, Pydio developers used the free community version ONLYOFFICE Document Server for creating a testing environment. They also claimed that all the information needed for integration can be easily found in the ONLYOFFICE API documentation. We hope you find this inspiring! As you may have noticed, our server-based solutions (Enterprise Edition and Community Edition) have two main parts Document Server and Community Server which is written in C#. So basically this is the most advanced case and the deepest integration we have! Apart from our internal DMS, the editors are integrated with CRM, Projects, and mail. ONLYOFFICE Developer Edition. The special solution we created for those who want to add doc editors to their SaaS or on-premise services. API documentation. Everything you need to know to integrate the editors. Feel ready? Get the developer version now! For any purchase questions, contact us at sales@onlyoffice.com.